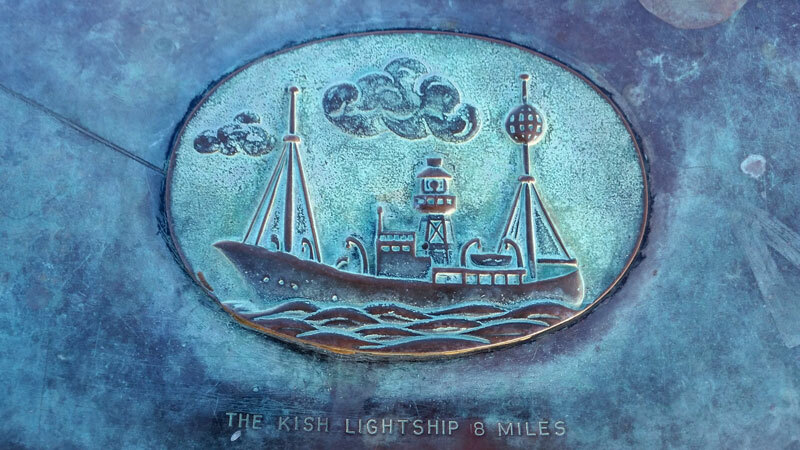 For 150 years, beginning in 1811, a lightship was moored at the sandy shallows of the Kish bank off Dublin, aiding mariners on their way. On the 9th November 1965, the last lightship to serve there was withdrawn, replaced by a permanent floating lighthouse that continues service to this day. The Kish Bank is a shallow sandy area 11km off the east coast of Dublin and a notorious spot for shipwrecks with more than 50 boats resting around its waters. 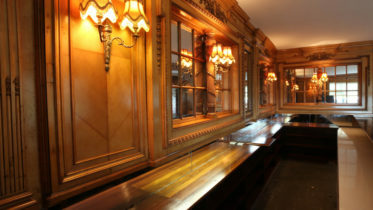 It was a place desperately in need of a light to aid mariners sailing into Dublin and from 1811 a lightship fulfilled this vital role. .
Lightships would continue to serve the bank until a more permanent fixture plan could be put in place. In 1954 the first Irish electric lightvessel Gannet was installed at the Kish Bank. In 1960 the Commissioners of Irish Lights decided to build a new permanent lighthouse to be installed on the Kish bank. 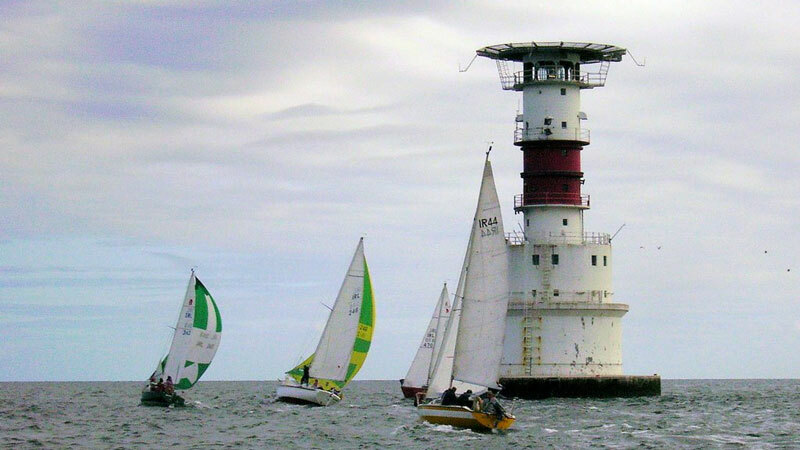 The lighthouse was designed by Messrs Christiani & Nielsen Ltd and it was based on models previously used in Sweden. It would stand 110ft tall and weigh 6,500 tonnes, it contained six bedrooms and had TV and radio facilities with a helicopter pad on the very top. Construction began in 1963 and by June 1965 it was ready to travel out to its new home. On 29th June 1965 it was towed out of Dun Laoghaire harbour 11km to the Kish bank. A unique floating lighthouse, a truly amazing feat of engineering for a particularly difficult set of conditions. 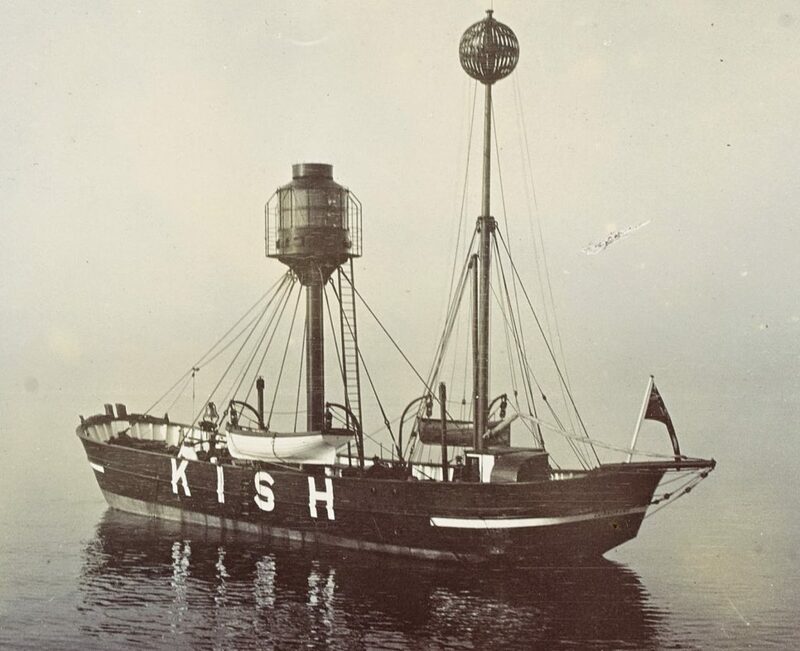 The lightship was finally withdrawn 9th November 1965 and the Kish Lighthouse has served there ever since.